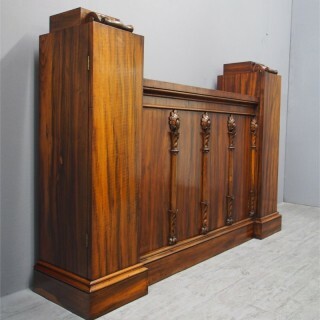 Circa 1830, rare Regency, goncalo alves (tigerwood) side cabinet. With raised side cupboards surmounted by carved foliate mounted plinths opening to fitted interiors. 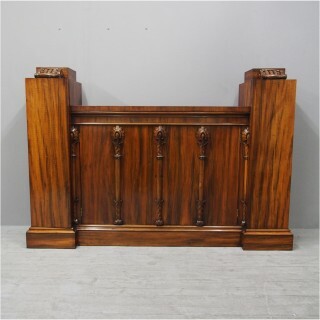 The lower central section has a well figured top, moulded fore-edge over twin doors carved applied foliate decorated pilasters that open to a shelved interior. It is all supported on a reverse breakfront moulded plinth base.